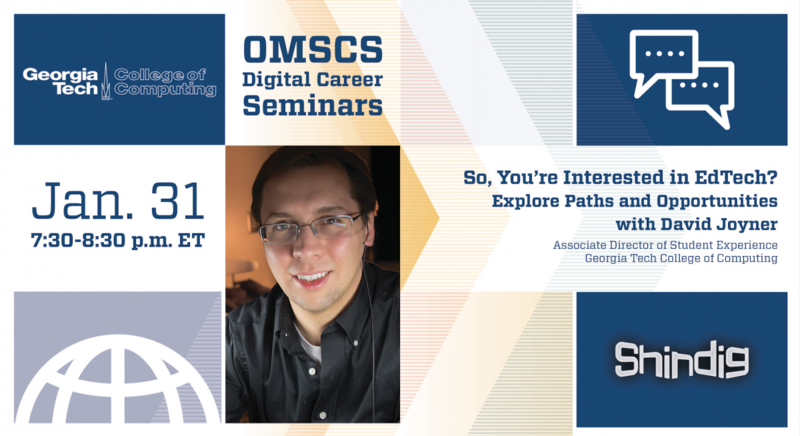 Beginning in Fall 2017, Georgia Tech’s online Master of Science in Computer Science (OMSCS) program launched its OMSCS Digital Career Seminar Series via the Shindig video conferencing platform. This series was designed to provide insight and support for current or prospective OMSCS students as they seek to advance your career. 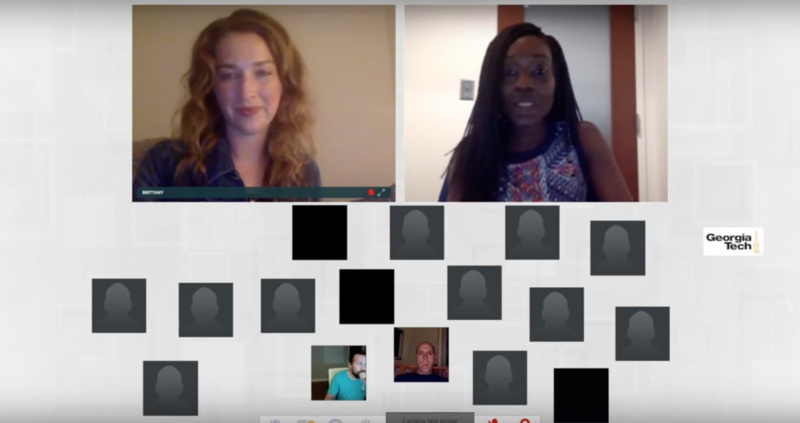 These “digital seminars” are hosted on the Shindig platform and provide opportunities for interactive conversation with guest speakers comprised of current OMSCS students and staff, as well as program alumni. Sign up for the OMSCS Newsletter to receive updates about upcoming seminars or visit the OMSCS Facebook page. You can also view past seminar recordings on the GT Computing Youtube channel.